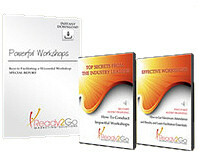 To see a sample of the audio training series, click here. Finding the right balance of your personal and professional life is one of the most common complaints of people of all walks of life. The fact is, finding balance is one thing, it's maintaining it that is often much harder. Being able to, “keep all your plates spinning” is an art form, yet there is so much riding on your ability to do so. Just imagine what it would be like if your life was in balance. Think about how much more productive and relaxed you could be, and how much more your relationships would improve. Learn the true definition of work-life balance and what that means for them. Examine and assess the balance between work and life in their own life right now. Create a vision of their ideal balanced life. Identify some small, simple changes they can make that will make a BIG difference. The audios are only 4-6 minutes long, so they don’t take a large time commitment, but they are jam packed with valuable information about the how to create balance in your life.